Wood fences are an affordable option, but vinyl is growing in popularity. Let’s look at the pros and cons of each fence style for Howard County homeowners. Reader’s Digest offered 12 steps on how to deal with bad neighbors, but there was not one mention of adding a wood or vinyl privacy fence. Sometimes people are going to be difficult no matter how nice you are, but you can still protect your privacy from noisy and difficult neighbors. Let’s look at the pros and cons of each fence style for Howard County homeowners. Fences made of wood are one of the most affordable options, and the wood privacy fences look amazing connected to older and newer homes in Howard County. Wood privacy fences can come in many different styles, and you can easily find the perfect match for your home. 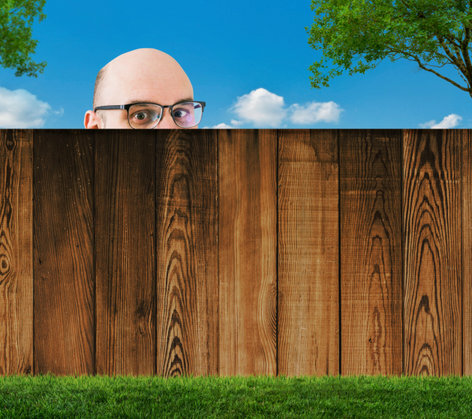 If your neighbor is always into your business, however, they may be prying on your even more with the maintenance associated with wood privacy fences. You will have to clean, repair, paint and continually stain your fence to maintain its charm, so you won’t always be able to avoid the stares or questions of peeping neighbors. Vinyl privacy fences will cost you more upfront, but you will save money because of the minimal amount of maintenance a vinyl privacy fence requires. The lifespan of vinyl fences is much longer than wood, and you also won’t have to worry about spending money on paints and preventative care. A simple cleaning is all that is required for vinyl, and you will have more time to enjoy your outdoor space and have less time worrying about your neighbors watching your every move. You can’t put a price on piece of mind, and wood privacy fences and vinyl privacy fences offer you the feeling of well-being that you deserve. Each style provides a solid return on investment, and you will enjoy playing in the backyard with your children or just lounging around without worrying about people staring at you. Our fencing experts are available to help Howard County homeowners and business owners, like you, select the right materials for their new fencing project. If you have any questions about which makes the most sense for you, a Wood Privacy Fence or a Vinyl Privacy Fence, please contact Freedom Fence and Home by calling 443-271-6841 or visit our website. You can also follow us on Facebook and Twitter! This entry was posted on Wednesday, August 5th, 2015	at 6:53 pm	. Both comments and pings are currently closed.